The last few years have seen a growing interest about all things food. People not only want their food to taste good, they want to know where it comes from, who made it, and what makes it special. That’s where Tammy’s Tastings comes in. We lead customized tastings at your party or corporate event. You’re probably familiar with wine tastings. We take that concept and apply it to the whole universe of food and beverages. 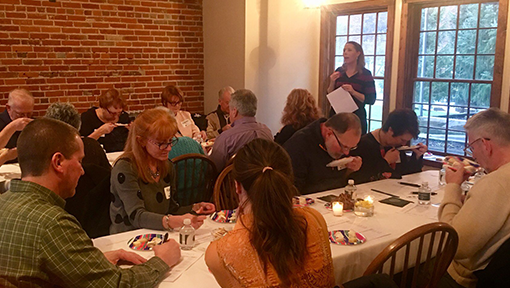 You pick the item or area of the world that you’d like to focus on, and we’ll do the rest – buy and prepare the food, research its origins, and lead your guests through a fun and interactive tasting. You probably can’t take 10 of your best friends on a tour of the Mediterranean, but you can all taste your way through a dozen different olives from the region. Or maybe you want to travel the world in single varietal chocolates. Or eat your way through America with bacon from eight different states. Wine, beer, cheese, heirloom apples… the possibilities are infinite! You probably can’t take 10 of your best friends on a tour of the Mediterranean, but you can all taste your way through a dozen different olives from the region. 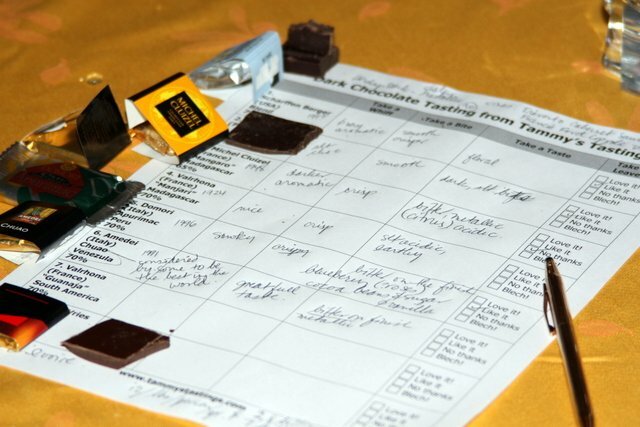 Or maybe you want to travel the world in single varietal chocolates. Or eat your way through America with bacon from eight different states. The possibilities are infinite!